The Scd6-like Sm domain is found in Scd6p from S. cerevisiae, Rap55 from the newt Pleurodeles walt, and its orthologs from fungi, animals, plants and apicomplexans PMID:15257761. 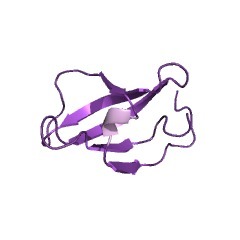 The domain is also found in Dcp3p and the human EDC3/FLJ21128 protein where it is fused to the the Rossmanoid YjeF-N domain PMID: 15257761,15225602. In addition both EDC3 and Scd6p are found fused to the FDF domain PMID: 15257761,15225602. The Lsm14 N-terminal domain is a type of LSM domain found in Lsm14 proteins (also known as Rap55) [(PUBMED:17074753), (PUBMED:18723115)] and in the Saccharomyces cerevisiae homologue Scd6 [(PUBMED:15225602)]. 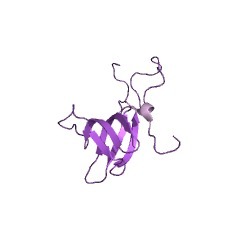 The domain is also found in the human EDC3 protein (enhancer of mRNA-decapping protein 3) where it is fused to the the Rossmanoid YjeF-N domain [(PUBMED:15257761)]. In addition, both EDC3 and Scd6 are found fused to the FDF domain [(PUBMED:15225602), (PUBMED:15257761)]. There are 3439 LSM14 domains in 3428 proteins in SMART's nrdb database. Taxonomic distribution of proteins containing LSM14 domain. This tree includes only several representative species. The complete taxonomic breakdown of all proteins with LSM14 domain is also avaliable. Click on the protein counts, or double click on taxonomic names to display all proteins containing LSM14 domain in the selected taxonomic class. RAP55: insights into an evolutionarily conserved protein family. The RAP55 protein family is evolutionarily conserved in eukaryotes. Two highlyconserved paralogues, RAP55A and RAP55B, exist in vertebrates; their functionalproperties and expression patterns remain to be compared. 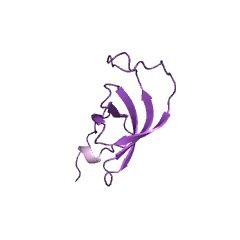 RAP55 proteins sharemultiple domains: the LSm14 domain, a serine/threonine rich region, an FDF(phenylalanine-aspartate-phenylalanine) motif, an FFD-TFG box and RGG(arginine-glycine-glycine) repeats. Together these domains are responsible forRAP55 proteins participating in translational repression, incorporation into mRNPparticles, protein-protein interactions, P-body formation and stress granulelocalisation. 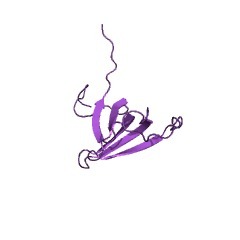 All RAP55A proteins localise to P-body-like complexes either in thegermline or in somatic cells. Xenopus laevis RAP55B has been shown to be part of translationally repressed mRNP complexes in early oocytes. Together thesefindings suggest that this protein family has evolved a common and fundamentalrole in the control of mRNA translation. Furthermore human RAP55A is anautoantigen detected in the serum of patients with primary biliary cirrhosis(PBC). The link between RAP55A, P-bodies and PBC remains to be elucidated. A divergent Sm fold in EDC3 proteins mediates DCP1 binding and P-body targeting. Members of the (L)Sm (Sm and Sm-like) protein family are found across allkingdoms of life and play crucial roles in RNA metabolism. The P-body componentEDC3 (enhancer of decapping 3) is a divergent member of this family thatfunctions in mRNA decapping. EDC3 is composed of a N-terminal LSm domain, acentral FDF domain, and a C-terminal YjeF-N domain. We show that this modulararchitecture enables EDC3 to interact with multiple components of the decappingmachinery, including DCP1, DCP2, and Me31B. The LSm domain mediates DCP1 binding and P-body localization. We determined the three-dimensional structures of theLSm domains of Drosophila melanogaster and human EDC3 and show that the domainadopts a divergent Sm fold that lacks the characteristic N-terminal alpha-helixand has a disrupted beta4-strand. This domain remains monomeric in solution andlacks several features that canonical (L)Sm domains require for binding RNA. The structures also revealed a conserved patch of surface residues that are required for the interaction with DCP1 but not for P-body localization. 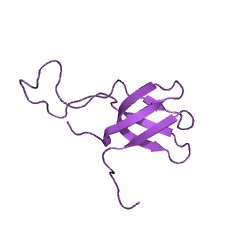 The conservationof surface and of critical structural residues indicates that LSm domains in EDC3proteins adopt a similar fold that has separable novel functions that are absent in canonical (L)Sm proteins. RAP55, a cytoplasmic mRNP component, represses translation in Xenopus oocytes. mRNAs in eukaryotic cells are presumed to always associate with a set of proteinsto form mRNPs. In Xenopus oocytes, a large pool of maternal mRNAs is masked from the translational apparatus as storage mRNPs. Here we identified Xenopus RAP55(xRAP55) as a component of RNPs that associate with FRGY2, the principalcomponent of maternal mRNPs. RAP55 is a member of the Scd6 or Lsm14 family. RAP55localized to cytoplasmic foci in Xenopus oocytes and the processing bodies(P-bodies) in cultured human cells: in the latter cells, RAP55 is an essentialconstituent of the P-bodies. We isolated xRAP55-containing complexes from Xenopusoocytes and identified xRAP55-associated proteins, including a DEAD-box protein, Xp54, and a protein arginine methyltransferase, PRMT1. Recombinant xRAP55repressed translation, together with Xp54, in an in vitro translation system. In addition, xRAP55 repressed translation in oocytes when tethered with a reportermRNA. Domain analyses revealed that the N-terminal region of RAP55, including theLsm domain, is important for the localization to P-bodies and translationalrepression. Taken together, our results suggest that xRAP55 is involved intranslational repression of mRNA as a component of storage mRNPs. Novel conserved domains in proteins with predicted roles in eukaryotic cell-cycleregulation, decapping and RNA stability. BACKGROUND: The emergence of eukaryotes was characterized by the expansion anddiversification of several ancient RNA-binding domains and the apparent de novoinnovation of new RNA-binding domains. The identification of these RNA-bindingdomains may throw light on the emergence of eukaryote-specific systems of RNAmetabolism. RESULTS: Using sensitive sequence profile searches, homology-basedfold recognition and sequence-structure superpositions, we identified novel,divergent versions of the Sm domain in the Scd6p family of proteins. This family of Sm-related domains shares certain features of conventional Sm domains, whichare required for binding RNA, in addition to possessing some unique conservedfeatures. We also show that these proteins contain a second previouslyuncharacterized C-terminal domain, termed the FDF domain (after a conservedsequence motif in this domain). The FDF domain is also found in the fungalDcp3p-like and the animal FLJ22128-like proteins, where it fused to a C-terminal domain of the YjeF-N domain family. In addition to the FDF domains, theFLJ22128-like proteins contain yet another divergent version of the Sm domain at their extreme N-terminus. We show that the YjeF-N domains represent a novelversion of the Rossmann fold that has acquired a set of catalytic residues andstructural features that distinguish them from the conventional dehydrogenases.CONCLUSIONS: Several lines of contextual information suggest that the Scd6pfamily and the Dcp3p-like proteins are conserved components of the eukaryotic RNAmetabolism system. We propose that the novel domains reported here, namely thedivergent versions of the Sm domain and the FDF domain may mediate specificRNA-protein and protein-protein interactions in cytoplasmic ribonucleoproteincomplexes. More specifically, the protein complexes containing Sm-like domains ofthe Scd6p family are predicted to regulate the stability of mRNA encodingproteins involved in cell cycle progression and vesicular assembly. The Dcp3p andFLJ22128 proteins may localize to the cytoplasmic processing bodies and possibly catalyze a specific processing step in the decapping pathway. The explosivediversification of Sm domains appears to have played a role in the emergence ofseveral uniquely eukaryotic ribonucleoprotein complexes, including those involvedin decapping and mRNA stability.